Maybe you’re into Christmas, Hanukkah, Hogswatch, or some other holiday. Maybe you refuse to acknowledge holidays. Doesn't matter. You know why? Because December is a big month for gift giving, so deal with it. While you're passing around gift baskets, you ought to do right by your nerdy friends. Sure, you could spring for a Loot Crate subscription, an Enterpise-shaped pizza cutter, or a even a Nintendo Switch (which would certainly be welcome in my house), but those are the gifts you’ll find on any lame “Top 53 Geek Gifts” list thrown together by a news outlet where the nearest thing they've got to a nerd is the reporter who once watched part of Ghostbusters by mistake when he walked into the wrong theater. You’re here because you want to show that you’ve dug deeper than Buzzfeed and the Dallas Morning Herald. You're here because you want to show you care! Hold onto your hats because here it is: the extra thoughtful, Nerdy and Geeky Gifts Guide for 2017. Winter Edition! Items in this list range from super affordable to fairly expensive, so you should be able to find something appropriate for any nerd you know. I try to locate gifts suitable for nerdy and geeky people of all walks of life, both girls and boys, and I’ve also tried to sort things a little bit to make it easier for you. I do not own all of these items, but I try to avoid suggesting things that get bad reviews. I won’t recommend something that I wouldn’t buy for my own friends. You will notice a lot of comic book themed items on this gift list. That's what I'm into right now, and these are things on my own wish list (or that I already bought), so you can trust that these are desirable items. Full disclosure: I am not selling any of these items myself, but if you use one of my links I get a reward, which helps pay for The Nerd Manual. Even if you don’t buy one of these items, I hope the list gives you some ideas for gifts that your nerd friends will love! This stormtrooper-white Star Wars First Order smartwatch from Vtech is designed for kids, but I wouldn't mind having one myself. The touchscreen allows you to play games, the motion sensor activates Star Wars sounds, you can take pictures and videos, and you can even use it to tell time with 30 different Star Wars clock faces. It also comes in black. The Hasbro Black Series is known for collector-grade replicas, and their Poe Dameron helmet might be the perfect touch for a ComicCon costume. 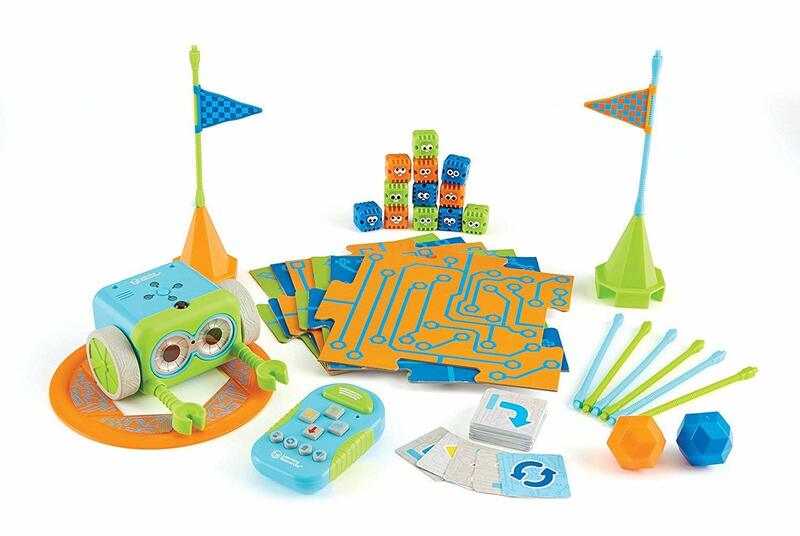 Bring strategy and augmented reality to your HotWheels races with Osmo MindRacers. Attach an iPad to the launcher and your HotWheels cars blast into different virtual tracks where you can use tokens that do things like boost your car's speed or make your opponent spin out. If you don't have any Osmo games or kits already, make sure to get the one with the iPad base. The DC Super Hero Girls series of dolls are just plain cool, and a good gift choice whether the kid you have in mind is nerdy or not. I really like that the dolls aren't wearing high heels, their bodies and hair are sturdy, and their limbs actually move...you know...like a real person's. The 12" dolls include heroic characters like Supergirl and Starfire, as well as the not-so-heroic characters like Harley Quinn and Poison Ivy. The 6" action figures (yes, action figures) include the same characters, but their outfits are tough plastic rather than fabric. You can get them individually, like Hawkgirl here, or in sets like this 6-Pack. Of course, there are plenty of accessories, like the sticker set if you know someone who already has the dolls. 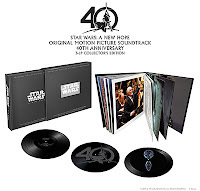 The 40th anniversary A New Hope 3 LP Set on Vinyl is a tad expensive, but if you know a HUGE Star Wars fan, they would probably be your best friend if you gave this as a gift. The records come inside a picture book with photos from the film and behind the scenes, and the whole thing comes in its own slipcase. The John Williams score has been remastered for this set, and pressed on heavy vinyl. The third LP even comes with a hologram of the Death Star etched on it. If you liked the look of the Millennium Falcon in The Force Awakens, take a look at the gorgeously detailed 1/144 Scale kit from Bandai. 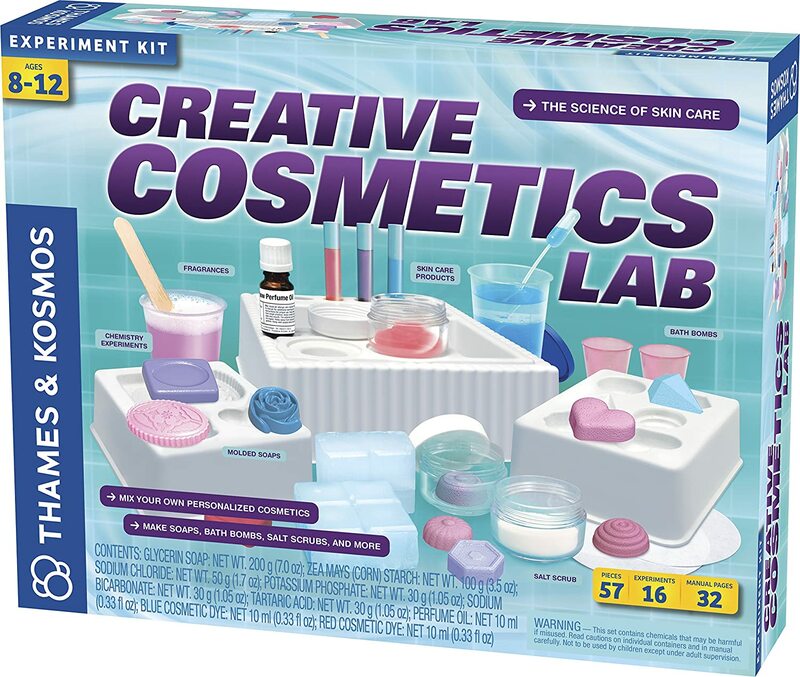 It's a snap together kit, so isn't overly difficult to assemble, but you can customize it to your desired level with your own paint job. Star Wars - set of 5 ships: Millennium Falcon, X-Wing, Imperial Star Destroyer, TIE Fighter, and Darth Vader's TIE Fighter . I would definitely spring for the R2D2 and C-3PO Box Set. Star Trek - set of 4 ships: USS Enterprise NCC-1701D, Klingon Vor'Cha Class, Klingon Bird-of-Prey, and USS Enterprise NCC-1701. Real Spacecraft - set of 6: Hubble Telescope, Apollo Lunar Rover, Apollo Lunar Module, Mars Rover, Kepler Telescope, and Voyager Probe. While I haven’t seen a Game of Thrones set, there is a silver dragon kit to satisfy fantasy fans. WREBBIT has a whole line of challenging Harry Potter 3-D puzzles to consider, including Diagon Alley, Hogwarts Great Hall, Hogwarts Astronomy Tower and a host of other 3-D recreations that you assemble like puzzles. Fans of the Arkham Horror board game will go mad for the Arkham Horror card game, which blends all the Lovecraftian elements of the original with the collectable aspects of Magic: the Gathering, including several expansion packs like The Dunwich Legacy and Path to Carcosa. Make the Kessel Run in 12 parsecs, then buy up the whole quadrant in Star Wars Monopoly. It plays like the classic Monopoly game, where you try to ruin your opponents by buying everything and bankrupting them, but the board is a tad different since it’s galaxy shaped. Rick and Morty fans can build their own version of Anatomy Park, complete with bodily reactions, in the Anatomy Park board game. The Raspberry Pi isn't new, but it's still one of the coolest gifts for nerds who like to build their own computers. Raspberry Pi is basically a very small computer that you can program and add to, so you can make anything from a media server to a home security system. You can get everything you need to start out in a Raspberry Pi 3 starter kit, and there are tons of add-ons including an HD camera, a sensor pod, and even a touchscreen. Do you know a nerd with a subversive side? Consider this practice lock pick kit (perfectly legal) that comes with tools and see-through locks so you can learn how the locks work. This isn't a professional set, but is good for beginner's practice. Most lock pickers will agree that you can learn everything on Youtube, but if your nerd likes books, you might consider purchasing The Visual Guide to Lock Picking. My favorite non-fiction book of 2017 is The Caped Crusade: Batman and the Rise of Nerd Culture, a history of The Dark Knight so well crafted that it's obvious Glen Weldon loves Batman. This is the perfect book for comics nerds, Batman nerds, or even non-nerds who want to know what all the fuss over Batman is about. It's about time Princess Leia had a book dedicated to her backstory, and Leia, Princess of Alderaan finally delivers. Find out how young Leia Organa went from princess to rebel leader. If you've ever wished Die Hard was a kid's picture book, here's your wish granted - A Die Hard Christmas: The Illustrated Holiday Classic. It's a little too bloody for actual children, but it's perfect for “grown up” kids. The Comic Book History of Comics: Birth of a Medium is exactly what it says on the label—the history of comics, graphic novels, and manga, but in comic book form. Brush up on the comics contributions of Jack Kirby, R. Crumb, Harvey Kurtzman, Alan Moore, Stan Lee, Will Eisner, Roy Lichtenstein, Art Spiegelman, and other important figures in comic book history. Horror nerds who are also into comics will love Four Color Fear: Forgotten Horror Comics of the 1950s, a collection of the finest EC horror titles in a single volume. With names like Jack Cole, Steve Ditko, George Evans, Frank Frazetta, Alex Toth, and Wallace Wood gracing the pages, this is a brilliant collection of 1950's horror comics. Beware, this is creepy, graphic, an NOT for children or adults prone to nightmares! Since 1938, Lois Lane has stood her ground against a male-dominated industry (I'll let you decide if that's newspapers or comic books), without superpowers or even a cape. But, the ace reporter regularly scoops Clark Kent, and even managed to get her own comic book title. Find out more about this intrepid reporter in Investigating Lois Lane: The Turbulent History of the Daily Planet's Ace Reporter. If you've got a nerd friend who doesn't need the lockpick training kit because she already knows how to pick locks, she might like Notes from Underground, a comprehensive study of the impact 'zines had on various facets of culture in the late 20th century. Take That, Adolf! : The Fighting Comic Books Of The Second World War is a huge compilation of over 500 comics covers published during World War II, featuring the world's real-life super-villain Adolf Hitler used as a punching bag by legendary creators such as Joe Simon, Jack Kirby, Will Eisner, and Lou Fine. "A woman's place is saving the universe." I can't say much more than that, but in The Spectacular Sisterhood of Superwomen you can meet some of the most heroic comic book characters…who happen to be female. That’s all I’ve got for this year. Now go show your nerd friends some love!